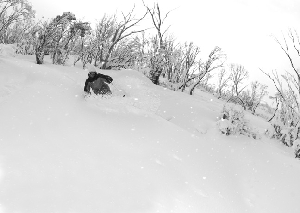 We all know how shredding powder can work up a serious appetite. 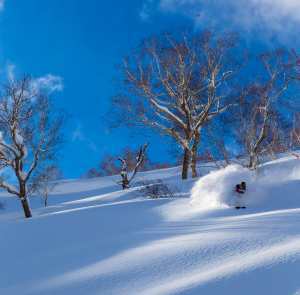 And in a place like Hakuba, where it snows up to 11 metres of famous Japow every season, hunger can be as big a risk as avalanches. 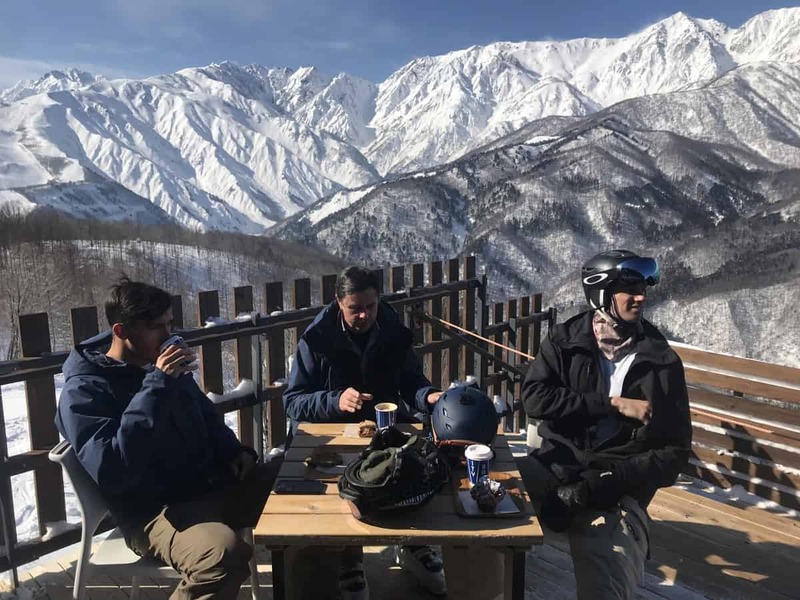 Fortunately for hungry skiers and snowboarders, Hakuba might be the best town in Japan to get a quick feed for a reasonable price. The three main neighbourhoods of Happo, Wadano and Echoland have exploded with new restaurants in recent years so you will be hard-pressed to have a bad meal if you follow a few insider tips. 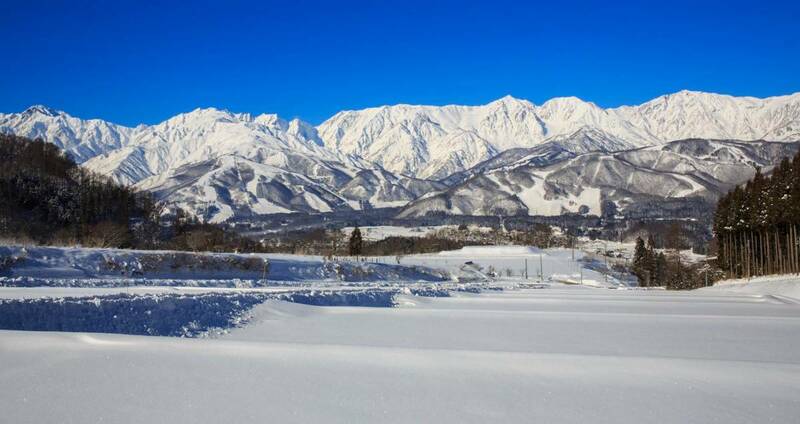 There isn’t really a central “strip” in Hakuba and best restaurants are reasonably spread out (think a few kilometres from one end of the southern neighbourhood Echoland to Wadano in the north) and can be quite crowded during busy season in January and February. Best to book at least a day in advance by asking your hotel or lodge host to call the restaurant, or pop in and reserve a table in person, if you don’t like wandering dark snowy streets in the cold. You can catch the “Genki-go” night bus between neighbourhoods for just 300 yen (a little over $3) per trip and save a lot on taxis. It’s also good to learn a few Japanese words so you know what you’re eating. Donmeans anything on rice (pork katsu don means pork schnitzel on rice, for example). 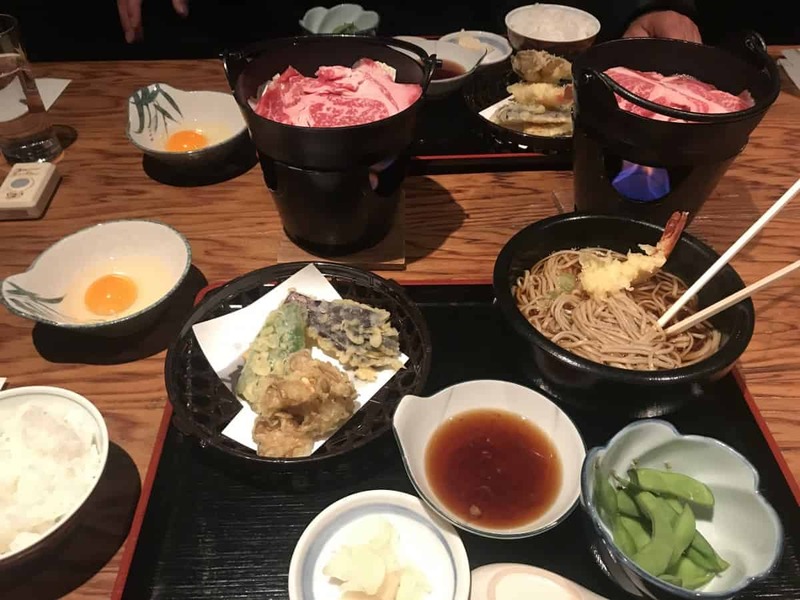 Yakiniku is barbequed meats, shabu shabu and sukiyakiare types of hot pot, and soba, udon and ramen are variations on hot noodle soup. Edamame are salted soy beans that come served in their bean shells. You squeeze these tasty buggers out of the shell into your mouth and discard the shell. Newbies tend to try and chew through the shell, leaving many locals chuckling at the gaijin(foreigners). 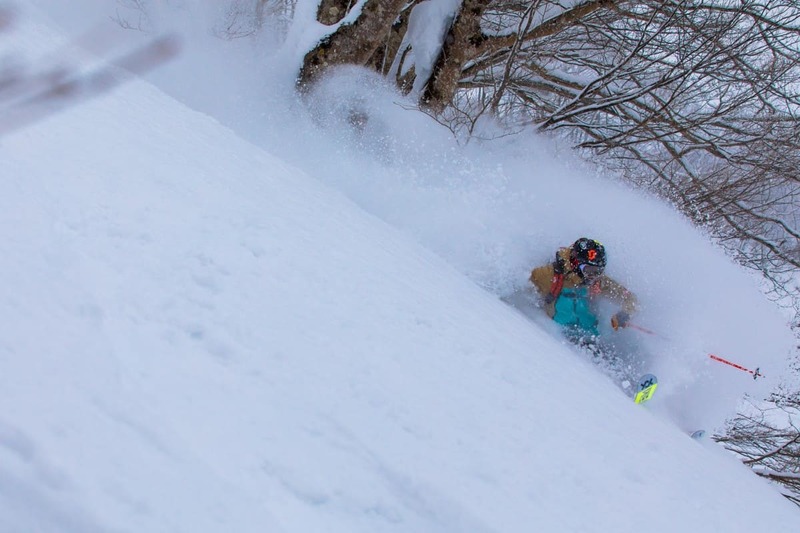 Here are some of the best restaurants Hakuba has to offer. Asuka is a relatively new izakaya that opened in Happo village in November 2017. It serves up generous slabs of melt-in-mouth salmon sashimi, crispy gyoza and tasty little yakitori skewers – washed down by the omnipresent Asahi beers. Don’t miss the sashimi-style salmon avocado salad. Try Washiya for a unique Japanese experience, dining horigotatsu in small private rooms at low tables with room for your feet sunk into the floor below. 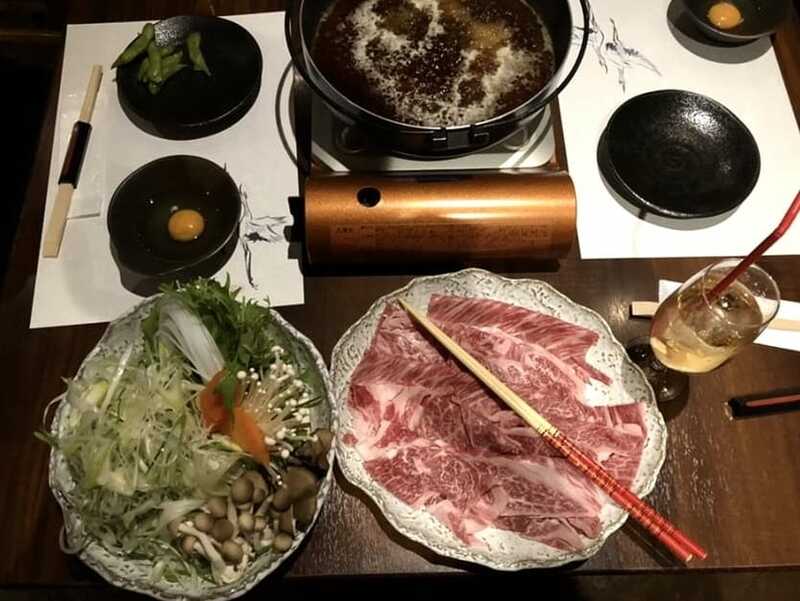 The sukiyaki (beef and vegetable hot pot with raw egg dipping sauce) is delicious here – but don’t worry, the raw egg is optional. Hands down, one of the best Japanese restaurants in all of the Hakuba Valley, Sharaku is a must visit for sushi enthusiasts. Sharaku specialised in fresh seafood and sushi but also offers great meat dishes like the wagyu steak. Great for couples or groups alike, Sharaku serves a wide-range of local sake to accompany your meal. Monimoki Hotel also has fantastic shabu shabu (hot pot) and is a great place for groups. 7000 yen buys you a two-person platter of thinly sliced wagyu beef and various Japanese vegetables. Cook (and fight over) the ingredients with chopsticks in a big boiling pot on the table, then dip in delicious Japanese sauces and gobble it all up with rice. Sushi is less common in Hakuba than noodles or rice dishes, but you’ll find the freshest sushi in town at Kikyo-ya. Taylor Swift has famously eaten here, leaving a note on the wall to thank the chef for filling the “blank space” in her stomach with sushi. It’s also one of the few places you can try potentially deadly blowfish sushi. When filleted correctly, the blowfish is notoriously delicious. There are no Michelin stars in Hakuba but Mimi’s may be the first place to earn some. This is the restaurant of the five-star Phoenix Hotel in Wadano and is a standout pick for date night or special occasions. Start with a cocktail shaken by charismatic bartender Josh or just let the knowledgeable sommelier guide your drinking. 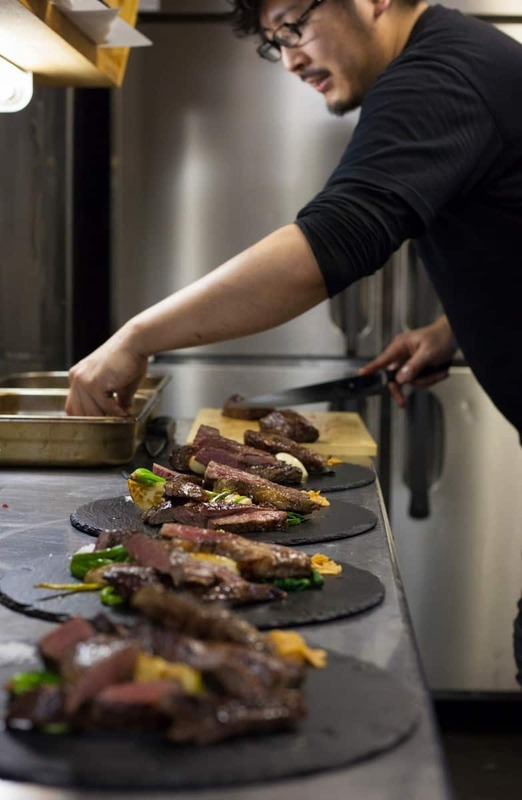 Japanese chef Kazuyuki Shimamoto has trained in Osaka, Italy and Australia’s Falls Creek, and famously butchers his own meats (including local deer and black bear). The Wagyu sirloin is melt-in-mouth amazing – as is the salmon carpaccio starter and the mango crème brulee dessert. JUAN Wagyu Steakhouse is a must-try for carnivores. 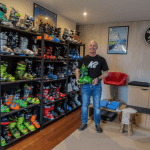 This is a steak restaurant that started in Sydney and popped up in Hakuba for the 2018-2019 season. For 6500 yen you can try five different cuts of prime Wagyu beef, with dipping sauces, salad and possibly the crispiest baked potatoes in Hakuba. Spend the extra few yen on a starter of fancy edamame – these bean pods are fire-roasted with garlic and chilli oil and will have you dreaming about the flavour for days. For pub grub in a more social setting, try The Rabbit Hole in Hotel Villa Hakuba. The burgers here are enormous and lovingly crafted by friendly Australian staff. Sure to keep you going on the mountain. 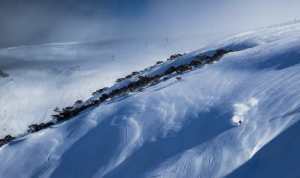 Located within the ski-in-ski-out Marillen Hotel, Bernd Keller’s is the only authentic European alpine cuisine in Hakuba, and serves a wide range of international wines and European beers. It’s also at the foot of the Nakiyama Slope, one of the few night skiing runs in the valley, so you can work off your meal with a few runs. Most cafes in Japan have no idea what a flat white is (and don’t even think about ordering with soy or almond milk). 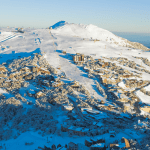 Fortunately for coffee snobs, the Australian-owned Rhythm Snowsports (you may recognise this retail chain as it originated in Cooma and also has a store in Niseko) has a small coffee cart inside that serves Allpress coffee. This gem is manned by Australian baristas who will please even the most obnoxious caffeine addicts with Melbourne-quality cappuccinos and flat whites. The Rabbit Hole (mentioned above) also grinds Allpress beans and it’s a longstanding valley argument as to which café does it better. Ski Iwatake resort on a sunny day to grab a mid-morning coffee from the City Bakery at the top of the mountain. 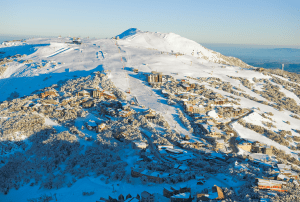 The croissants, scones and enormous cookies will keep hungry skiers fuelled all morning, and the 270-degree view from the front deck over the Japanese Alps is outstanding. Finally, don’t miss trying a coffee in a can from one of the vending machines that dot the streets and slopes in Hakuba. This is a must-do Japanese experience – much like heated toilet seats and bidets. Any coffee with a red price label is hot, while the blue label signifies a cold drink. The cans double as useful hand warmers if you stash them in your pockets while skiing – just shake them to make them hotter again!